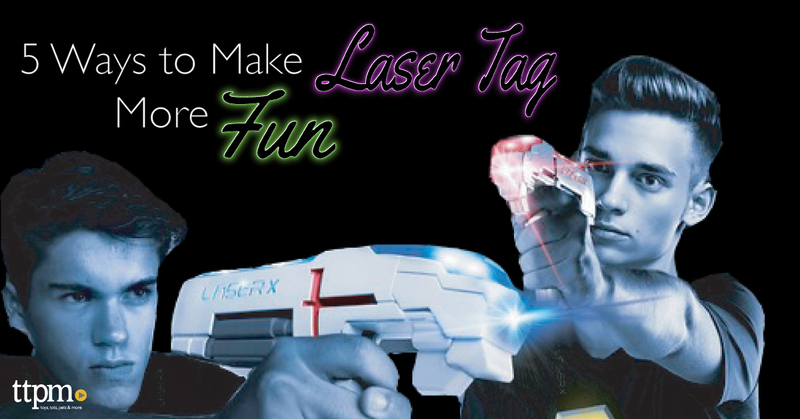 5 Ways to Make Laser Tag More Fun! The awesome thing about laser tag is that by using your gear and a little imagination you have the ability to create live-action video game adventures in your own home, yard, and neighborhood. But what if you could turn a typical game of tag into something more exciting? Below you’ll find some great ideas for taking your game to the next level. Laser X topped TTPM’s Most Wanted Summer 2017 list and it’s a go-to for us for playing laser tag on the go. Almost everyone loves following clues to the next big prize and feeling the sense of pride that comes with overcoming challenges in their way. This type of game can be played indoors or outside, and with teams or individual players. A parent sets up obstacles by using items or simply building them out of cardboard. Things to crawl through, over, under, and setting up stations where a problem must be solved to pass, are just a few of the ways you can create the perfect course. At the end of the course, winners can receive a prize for being the first to finish, or even just bragging rights. Teaming up to take down another team is a great way to create a fun competitive game. This is perfect for both kids, teens, and adults. The first team to capture or rescue the object that’s being guarded wins! With a small but even number of players—two to four—a simple game of Spy vs. Spy can be just the thing to turn tag into an intense secret mission. Whether the goal is to steal a secret formula or a doomsday device, this is a fun combination of two classic games. Decide if you’re going to compete as teams or individually. Each player or team hides their secret item. Players then sneak around as stealthily as possible to take out their competition in a laser shoot out. The first spy to discover and steal their opponents’ secret item without getting hit wins. Who doesn’t like a little fright in their night? You can have a spooky good time in a maze filled with ghosts, ghouls and other creepy crawlies. To complete the maze a player must defeat all of the monsters along the way. If a player gets ‘tagged’ by one of the monsters, they must go back to the beginning and start over. This isn’t just a kid’s game, it’s also fun for anyone who’s still a kid-at-heart. 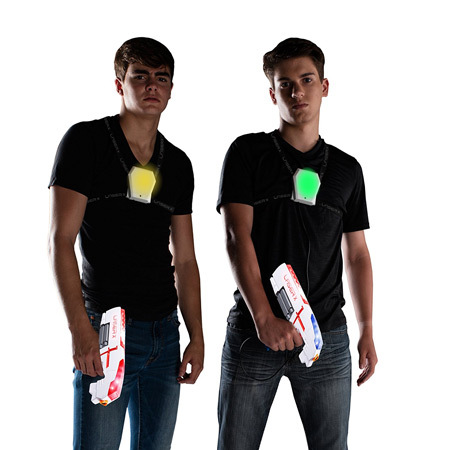 Bring a little extra fun to a typical night out by strapping on some laser tag gear and hunting down your friends and loved ones. This can also be a great change of pace for a Work Office Party, Bachelor, or Bachelorette party. If you have little ones, leave them with a sitter, grab your friends or significant other, and gear up. Set up in the dark outside or creep around the house hunting each other down, shooting as many of the other players as possible without getting hit yourself. For a little added fun, you can embellish all of the players with black light reflective body or fabric paint. Painting mazes and obstacle courses to help guide players through is also a great idea.